District 29 – June 2013 – Lincoln Nebraska A.A. Traditions were read by: Albert S.
Secretary’s Report: Sheila H. May 14, 2013 minutes were approved as read. Rent for District 29 Meetings $10.50 Check still has not been cashed. Albert attended the Area 41 Reunion; there were approximately 170 people there. The Speakers were good, other than that there was nothing to report. 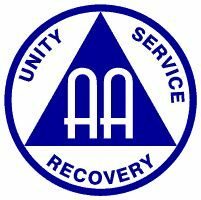 Any literature or service tool, developed in an Area 41 commit-tee that affects AA as a whole, be approved by the Area 41 Committee. Any modification to already approved items would also require approval by the Area 41 Committee. Printed literature and other such tangibles, however, have no other builtin check. Although good sponsorship is probably the best way to handle this, our sponsors are not always avail-able while a vote is being taken in a Committee. There are things that we can and should do at the Area level which do not need to be conference approved that can help the still suffering alcoholic right in our own Area. I have seen some items produced by other Areas that are not conference approved and would like some way to check items that are developed within a Committee before they are used within the Area. One way might be to send these items to ie. Report and Charter, Finance, Website or Literature to further check the facts etc. Perhaps this would be a way to find a balance between Concept 3-Right of Discussion and accountability to the Area. If all committees and officers had checking accounts at the same bank, trusted servants could use debit cards to access funds no matter where the bank was. It would also be easier to transfer names at the end of a rotation, and the Area Treasurer could make transfers to accounts without writing a check. Re-search needs conducted to see if it’s logistically and financially feasible to do. The Finance Committee held this item in committee for an ex-tended period of time gathering information from banks and discussing it thoroughly. After final review of two bank proposals and considering the advice professionals in banking offered, the Area 41 Finance Committee unanimously recommends this proposal to the Area. The two banks consulted were in agreement that our current banking procedure is not secure, and Area has a history nearly every rotation of unaccounted funds. It would be nearly impossible for Area funds to be unaccounted for with the proposed system because the Area 41 Treasurer would be on each committee and officer account with access to an on-line view. There would be one Primary Account with the Area 41 General Fund, and 18 Secondary Accounts, one for each Officer and funded Committee Chair. Secondary Accounts would be operated with debit cards specific to the Officer or Committee, with the Committee Chair or Officer holding the debit card. The Area 41 Treasurer could electronically transfer funds between the Primary and Secondary accounts. Treasurer/Finance Chair and the Alternate Delegate would be the signers on the Primary account, with the Treasurer conducting all online activity. There was a wide variation in banking costs to the Area be-tween the two bank proposals. To make this new system work for the Area, we would need to switch banks to the one with the least (zero) charges. A change in Officers and Committee Chairs at rotation would not require opening and closing of new accounts, like the current system does. The current Area 41 budget includes $360 for banking charges, which could be saved. Under the current system, Officers and Committee Chairs open their own accounts at a bank of their choosing, and the Area 41 Treasurer has to sign on, which sometimes requires physically going to the chosen bank. Banking charges vary from commit-tee to committee. At the end of each rotation, old bank ac-counts are closed and new ones have to be opened. Closed at 6:46pm with the serenity prayer. Next Meeting will be held July 9, 2013 at 28th and “S” streets 2nd floor Room 2A @ 6:30 pm.